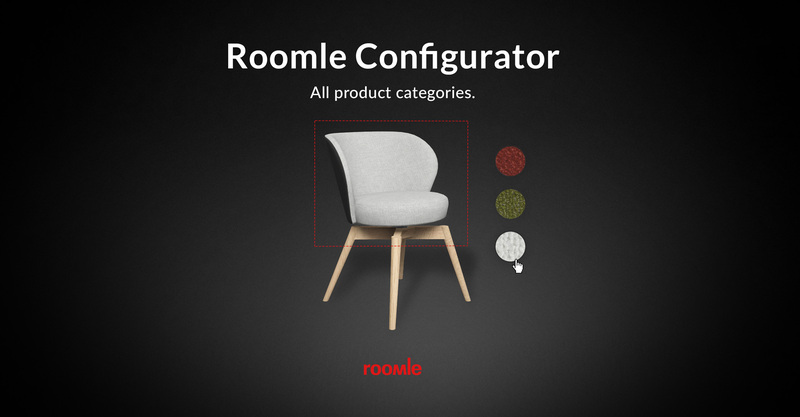 Bye, bye, Furniture Catalogues: In October, 2018, Roomle introduces a spectacular new service: The Configurator 2.0 shows products in stunning detail and quality. It has the potential to revolutionize production and sales processes in the furniture industry. Dramatically shortened time-to-market for producers, easier decision-making and more satisfaction for buyers and a leap in order processing efficiency for all vendors – this is the promise of the new Roomle Configurator 2.0! 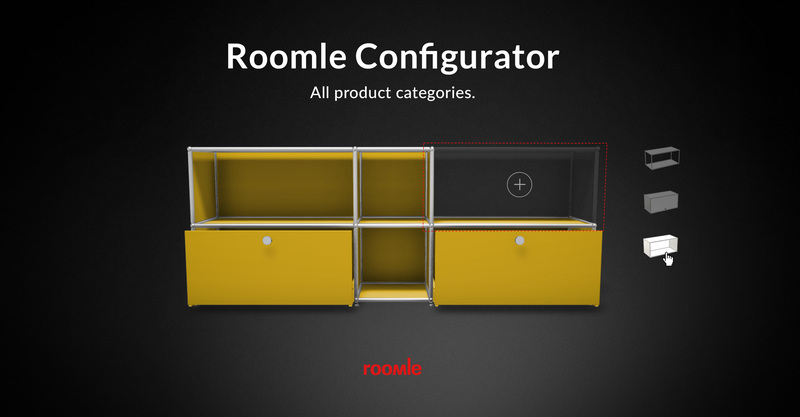 Roomle Configurator - all product categories. Roomle works cloud-based, optionally white-label, is compatible with all common display formats, software and platforms from Apple ARKit to ARCore, and has full touch-display capability for use on in-store terminals. The solution is unique because of its breathtakingly realistic graphics. From 3-D data and the user´s configuration inputs the Configurator creates a „digital twin“ – in real-time and stunningly photo-realistic, AR-capable 3-D, with a light setting that would do an expensive photo shooting honor. The user can interactively reconfigure the result with alternative surfaces, materials and shapes to view the results in 3-D and insert it into views of existing rooms to support buying decisions. Roomle converts the chosen configuration into a complete and correct parts list for order processing. This service will transform processes along the buyer-retailer-producer chain, offering new possibilities for just-in-time production, custom furniture and products going on sale before they even exist physically. In short: Roomle has just fulfilled all the promises that the furniture industry has always seen in digitization. - The digital furniture business revolution is here. 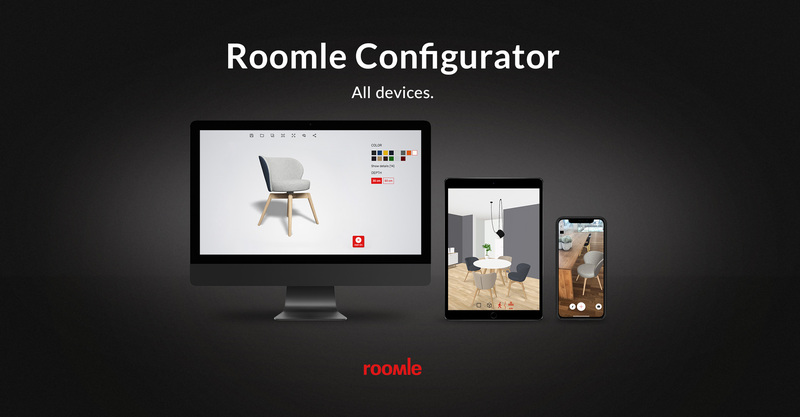 Roomle Configurator - all devices.